The brand trusted around the world for its skin care and moisturizing expertise – introduces NEW Baby Dove, its first-ever range of baby care products. 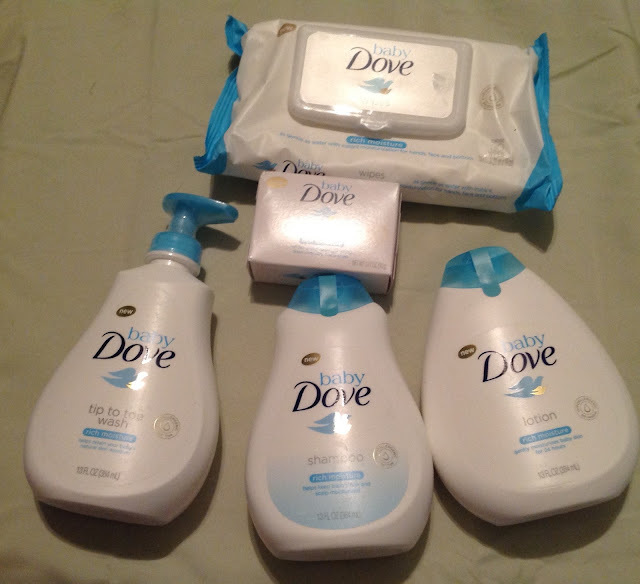 Cassandra's Review- I really enjoy the Dove brand and the new baby products are wonderful. I like how they feel and smell. Especially that I can use them on my little one and not worry about a rash or problem. No matter what age, the products will be really helpful. Sponsor is responsible for prize and shipment. If I won, I would gift it to my nephew and his wife because they recently became parents to a little boy and would love to try Baby Dove! This would be for my grandchildren. Thanks. I would share these products with my daughter. I'd keep it for myself. I love Dove! I'd keep it for my babies! I would gift it to my grandkids. They both have very sensitive skin.Especially my grandson. We have tried so many different types of lotions etc.